According to Blizzard's COO, Paul Sams, the company is experimenting with Diablo 3 on consoles, which is affirmed to be a well polished, and very fun experience for gamers. 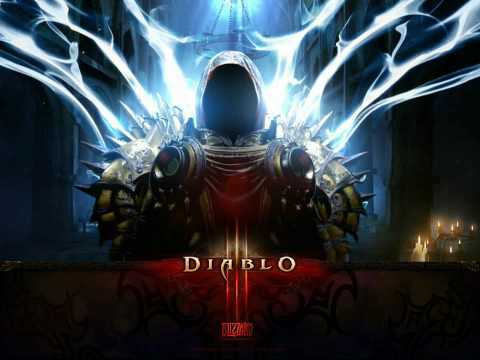 The initial idea behind a console release had no financial undertones, but because Diablo 3 is also well-suited for platforms other than the PC. Sams said: "We're continuing to explore (Diablo 3 on consoles). We think that the way we built it for the PC may need some tweaking, but it will ultimately be the type of game that can really make sense and be really fun, well polished and a true Blizzard-level experience on a console. "We get a lot of questions about why we haven't made a game for consoles before and I tell them the same thing I tell them about business models: we don't let business models or platforms drive our decisions. Those are secondary to what's the most important aspect for us which is the gameplay." He went on further to say: "We have to make sure the game is great and it's something that everyone wants to play. If we provide a great game, a great experience, the business model - if we're being fair with you - will work. "Same with the console; we don't decide up front that we want to make a console product. We just want to make a great game. If the best experience involves a mouse and a keyboard, we'll put it on PC. If it plays better with a controller, that's the route we'd take. If it works on both, and we don't have to make any meaningful alterations or compromises to the experience, we'd make it for both." Admittedly, the platform holder requirements played a strong role in the decision to work on a console game. "Well, honestly, that certainly is an impactful part of the decision," he said. "If I've got to jump through 17 different hoops and pay a lot more money to be on a console, that causes you to pause. But that doesn't mean we wouldn't do it if we thought we could deliver a Blizzard-quality product on the platform and it was right for the game in question. "That's why we're looking at it for Diablo III; we think that we can have a really exciting and compelling experience that will play well on console in addition to PC We do feel it's an exciting opportunity. If we feel we can have a game on multiple platforms, then we'll do it. We're not afraid to - that's for sure!"